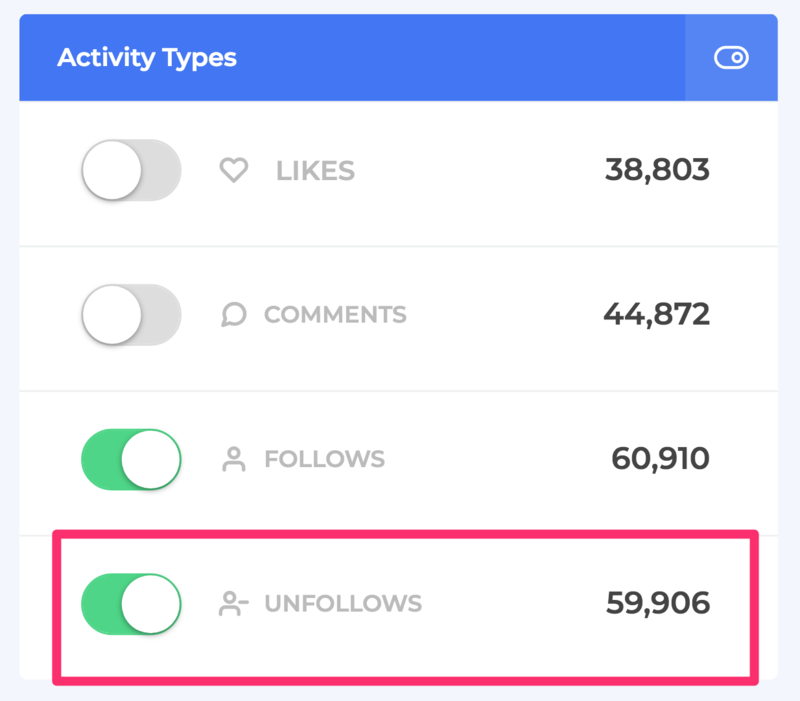 By enabling the Unfollow feature, your account will start unfollowing accounts that SocialCaptain has followed for you more than 2 days ago. SocialCaptain will only unfollow users that we have followed for you. The platform will not unfollow users that you manually follow on Instagram or users you have manually followed before enabling the Unfollow feature. As long as both the Follow and the Unfollow actions are enabled, your account will always keep a constant followers-following ratio. The Unfollow feature is a great way to keep a healthy balance between your follower–following count while getting the full results of the Follow feature.